Insured prescription benefits are available through membership in AWA. Benefits are for most of the commonly prescribed generic drugs and preferred name drugs at low member co-pays. In addition, this membership allows purchase of non-preferred brand name drugs and non co-pay generics at a discounted rate. Members can save anywhere from 10-70% off of the pharmacy's retail charge. 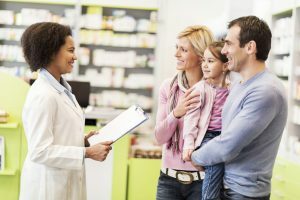 With the rising costs of prescription benefits, this membership can help small business owners and entrepreneurs find cost saving solutions for their health care needs. The AWA SureScript Rx membership provides insured prescription benefits combined with cost-saving, health discounts to help members manage their health care costs. With benefits toward a 30-day retail supply or 90-day mail order supply for generics or preferred brand names, SureScript Rx can be used at all major chains and most independent pharmacies, nationwide. For more information on AWA memberships that include prescription insurance benefits, please contact us here.